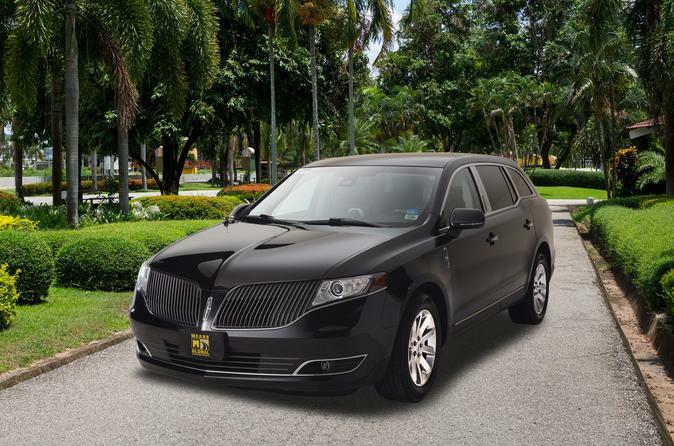 Private transfers provide a terrific way to get between the airport and your hotel. There's no waiting in taxi lines or making multiple shuttle stops. There's just the relaxed and stress-free transportation of a late-model vehicle and a professional chauffeur that will get you safely to your destination. Upon arrival at the airport, your chauffeur will meet you in baggage claim, unless otherwise instructed on your voucher. Your chauffeur will be holding an airport sign with your name on it. If you have provided your mobile number at time of booking, an hour prior to pick up you will receive a text message with the chauffeur's name and mobile number, at which time you will be able to make contact with your chauffeur. Once you have boarded the vehicle, provide the chauffeur with your hotel name and address. Sit back and enjoy your ride in your professionally driven vehicle to your destination! © 2019 Hello Chicago - All Rights Reserved.